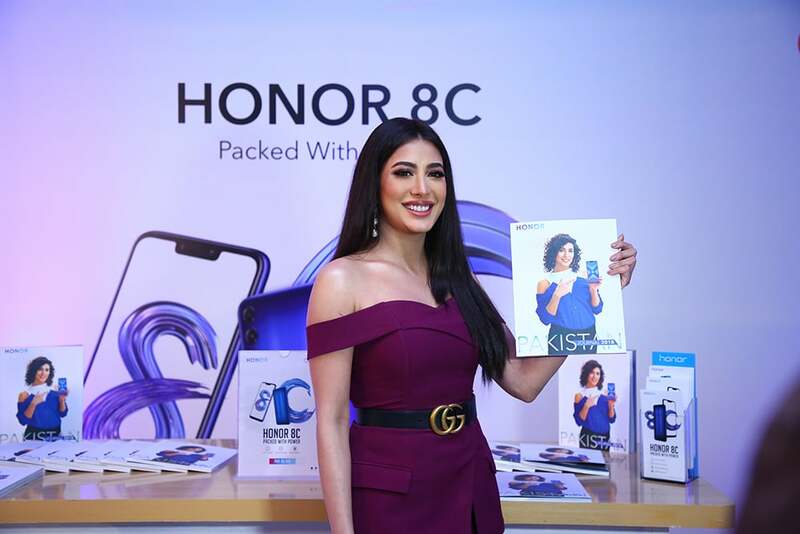 The device was launched in an event at the Pearl Continental Karachi with celebs like Mehwish Hayat and Asim Azhar. Honor, a leading smartphone e-brand, has announced its latest smartphone in the C-series line-up today, the Honor 8C. The new smartphone raises the bar for budget phones by providing advanced features at a surprisingly low price of Rs. 26,499 and will officially be available from Saturday, the 9th of February 2019. The new Honor 8C comes with a range of flagship features at an exceptional value, including a striking 6.26-inch notch 19:9 full-view display and a 86.6% screen-to-body ratio that offers an immersive movie and gaming experience. 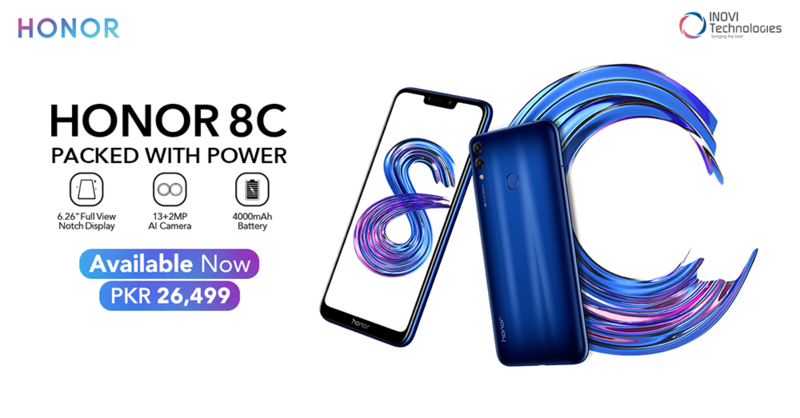 Honor 8C is equipped with the largest battery of any Honor smartphone released in 2018, allowing for a more convenient and uninterrupted experience. The enormous 4,000 mAh battery allows users up to two days of use on a single charge, and lets users play 3D games all afternoon or watch an entire TV series without worrying about running out of battery. In addition, with TüV Rheinland certified next generation eye comfort mode to reduce blue light radiation emitted by the screen and prevent eye fatigue, longer screen time has never been more comfortable. This top-end battery powers the flagship hardware of the Honor 8C including great camera capabilities: an AI-powered dual-lens 13MP + 2MP rear camera with a large F/1.8 aperture capable of recognizing up to 500 scenarios in 22 different categories in real-time, and a 8MP front camera offering selfie-toning soft flash and augmented reality (AR) to create emoji. Honor 8C continues in carrying forward Honor’s dedication to design aesthetics. The new smartphone is available in three colors – blue, black, and gold – with the blue Honor 8C being the first Honor smartphone to feature the “cat eye” effect, a silky gem-like glow created by the band of reflected light that moves and shifts when viewed from different angles. It also has a curved 7.98mm thick body to ensure a comfortable grip. Powered by a high-performance octa-core Snapdragon 632 chipset, this trailblazing budget smartphone incorporates the advanced features that fans expect from Honor’s flagship products and smart user interface EMUI 8.2 for a smoother, faster experience. Honor 8C comes with 3GB RAM and 32GB ROM, expandable storage supporting up to 256GB, and three independent card slots allowing use of two SIM cards and a SD memory card at the same time. Mehwish Hayat and Mr. Dennis Zhanglei, Country Manager Honor, speaking to attendees at the launch. 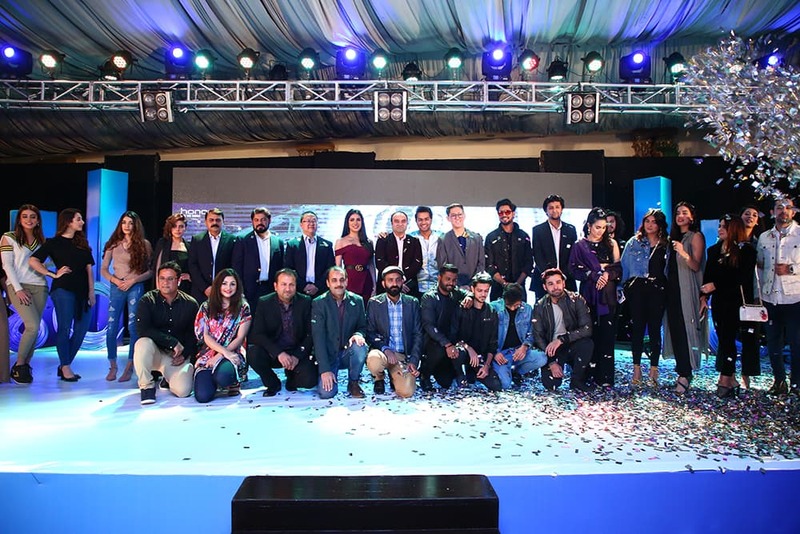 In an event held at the Pearl Continental Hotel Karachi, attendees were welcomed in a hall decked with some of the country’s brightest stars and many upcoming talents; this most notably included Mehwish Hayat who was accompanied by her brother Danish Hayat who has been making his way onto television screens nationwide. 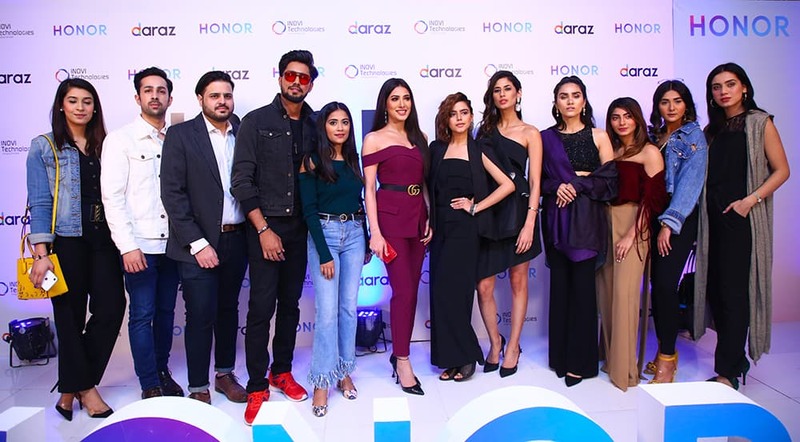 Several other notable celebs present were Mariam Ansari, Komal Aziz, Kashmir the band, Yashma Gill, Hania Moin, Ifrah Humayun, Sabrina Furqan, Dino Ali, Roshanay Afridi, Fatima Hassan and Hina Ashfaque. 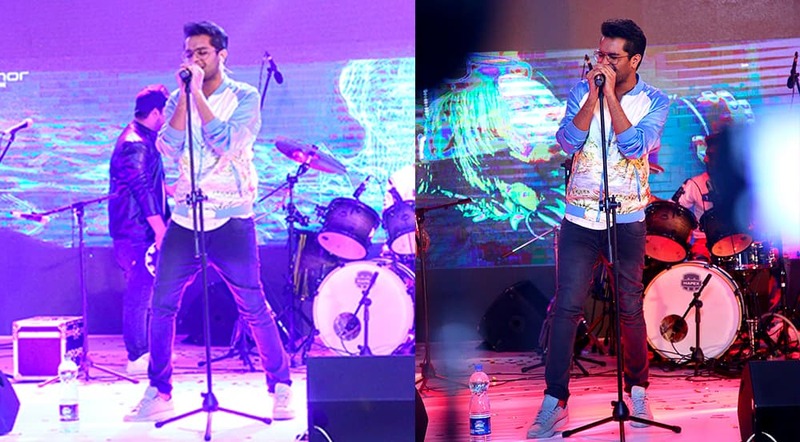 Adding to the festivities was a Key Note presentation followed by Honor's youth ambassador Asim Azhar's live performance for all attendees. Know more about the Honor 8C on the official website. This content is a paid advertisement by Honor Pakistan and is not associated with or necessarily reflective of the views of DAWN.com or its editorial staff. Let us wait and see how things will shape.